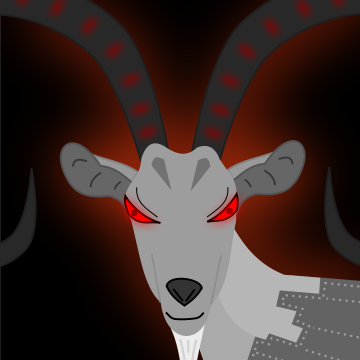 A highly unstable "individual" Aegagrus has severe violent tendencies, and typically resorts to violence to solve social issues first and foremost. The REKT Psych evaluation suggests that if one disagrees with Aegagrus one should keep that fact to themselves. The medical note from that same evaluation mentions stitches required for "self-inflicted" bite marks upon the interrogator's neck. Captured as a specimen during a REKT mission to investigate a "haunted" starship.